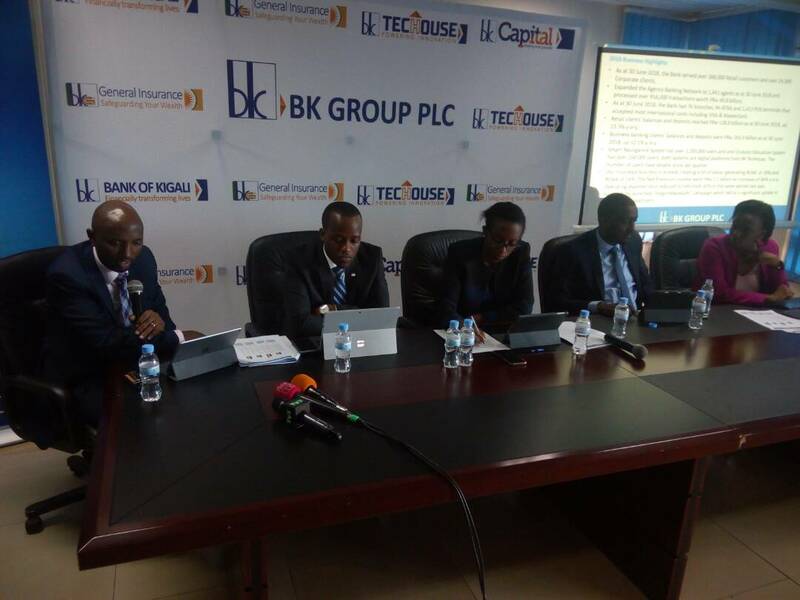 Top leadership of BK Group Plc says they are optimistic the lender will hit Rwf28Bn target following Rwf13.4Bn ($15.4million) profit after Tax in the first six months of the year. The profit, according to the Bank’s Chief Finance Officer, Nathalie Mpaka, represents an increase of 17.8% year-on-year. The Bank’s Return on Average Assets (ROAA) and Return On Average Equity (ROAE) reached 3.7% and 21.2% respectively for the period ended 30 June 2018. The bank’s total assets increased by 1.7% year-on-year to Rwf731.8 billion ($ 842.6 million) as at 30 June 2018. According to Mpaka, the Bank’s Net Loans and Advances increased by 6.8% year-on-year to Rwf 481.2 billion ($ 554.1 million) as at 30 June 2018, while client balances and deposits increased by 3.8% to Rwf 472.3 billion ($ 543.8 million). Meanwhile, the Bank, which is listed on the Rwanda Stock Exchange (RSE) announced that its shareholders’ Equity increased by 12.5% year-on-year to Rwf129.9 billion ($ 149.5 million) as at 30 June 2018. 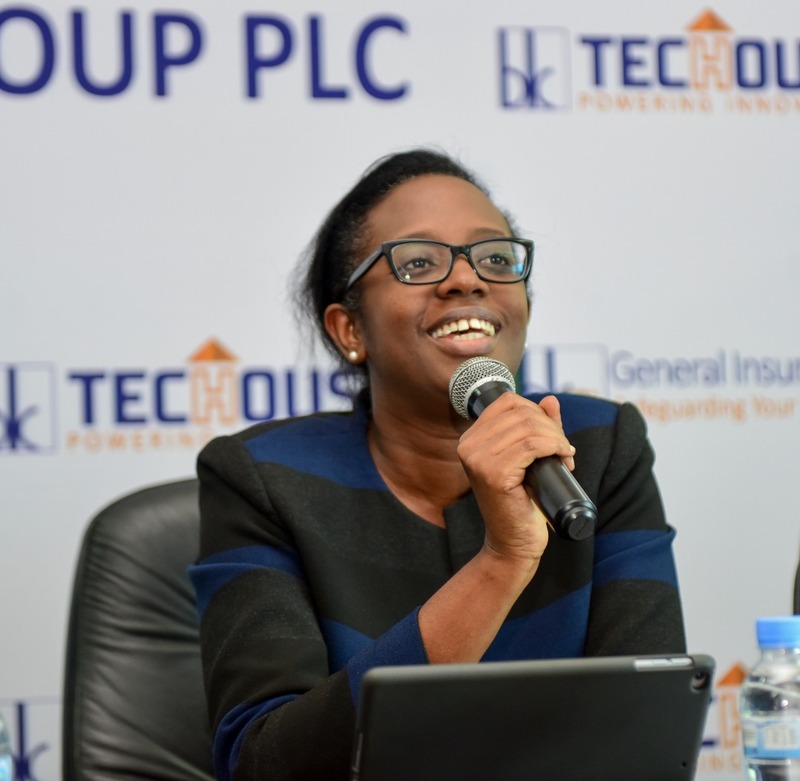 Dr. Diane Karusisi – the Bank’s Chief Executive Officer, highlighted during a press conference at the Bank’s Headquarters on Thursday, August 30, that some of the factors that contributed to the bank’s good performance this year was a shift in the customer loans which hit Rwf481 billion loans in the first 6 months. Karusisi also revealed that the bank will cross-list on the Nairobi Stock Exchange before end of the year.